Ever since Mad Max: Fury Road set the box office on fire in 2015, fans have been clamoring for a sequel, and at some point in time, we may even get two. Director George Miller has stated several times in the past that, during the numerous production delays on Mad Max: Fury Road, he and co-writer Nico Lathouris had written two full sequels, one of which has been titled Mad Max: The Wasteland. During a new interview, that director teased that the scripts are in fact still ready, and he's still hopeful that the sequels will happen. Here's what he had to say below. "We dug down deep into the subtext, the backstory of all the characters, and indeed the world, and without really thinking about it, we wrote two other screenplays just as part of the bible of the stories. Somewhere, if the planets align, there will be two other films. A movie like Fury Road is told in a very wild, helter-skelter way, so the underlying logic of everything in the film had to be pretty rigorous otherwise the film would've been chaotic. So one of the advantages of the many delays was that we were able to spend time getting into these backstories." "
The director also told The Independent in his interview that the iconic Coma the Doof Warrior, the flamethrowing guitarist from Fury Road, will be featured again in the sequels. The director has also stated numerous times that he wants to make a much smaller film before returning to Valhalla, which he revealed in this interview will be "quick and small, just to reboot the brain," although he wouldn't divulge any details about that film. After that, though, he hopes to return and make these Mad Max sequels. Here's what he had to say about Coma's back story, and about eventually returning to this apocalyptic landscape. "I know who his mother was. I know how it was that a man who is mute and blind survived the apocalypse. I know his story very well! If we get to make another movie, the Doof Warrior will be there! I'm hard-wired for the imaginative life. It's part of who I am. These characters and these worlds tend to swirl around in the back of your brain like imaginary friends. It's easy to go back to them." 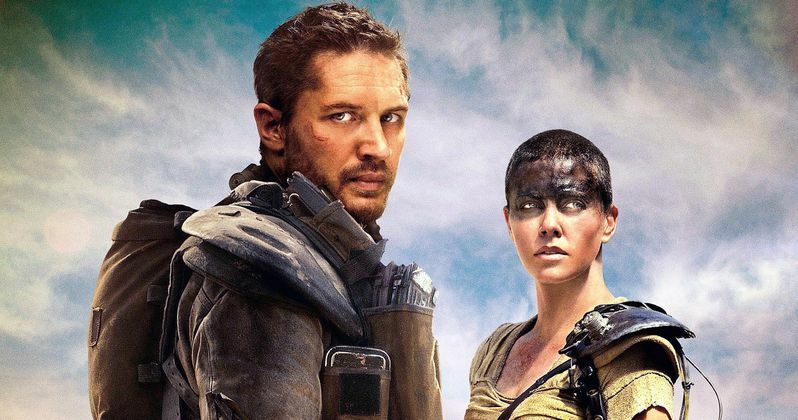 Until he gets back to work on Mad Max: The Wasteland and the second sequel, believed to be entitled Mad Max: Furiosa, the filmmaker is keeping details about these projects close to the vest. An unconfirmed report surfaced in September that claimed George Miller had already started pre-production on these Mad Max sequels in Australia, but that was never confirmed. The director hasn't stated whether or not he has started filming his smaller, secretive project, but hopefully we'll find out more about Mad Max: The Wasteland soon.